FOR MOST MEN, experiencing thinning hair and baldness, the cause of their balding, in approximately 95% of all cases, is a condition known as “Androgenetic Alopecia.” This is simply the formal term for the kind of balding that is commonly referred to as male pattern baldness. “Pattern” baldness is simply what the name implies. It occurs in a pattern and is usually not related to any disease process. 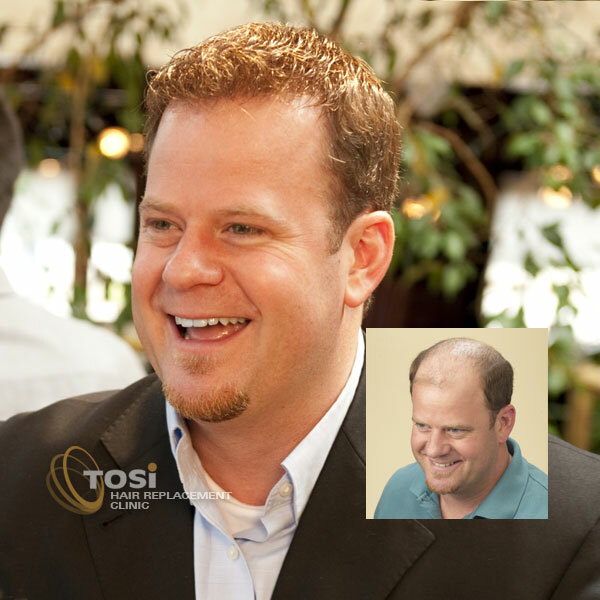 At Tosi’s Hair Replacement Clinic, Inc. in Exeter, Pennsylvania, men’s hair loss replacement and hair restoration solutions are designed specifically to meet the individual and unique needs of each client. 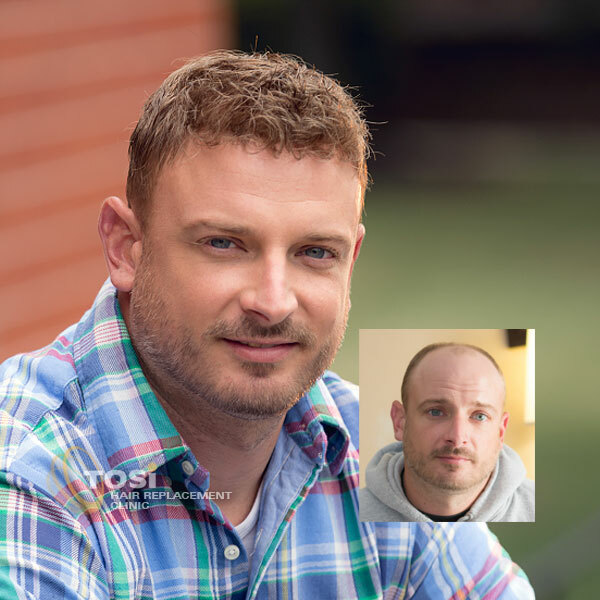 For men suffering from alopecia, male pattern baldness, and other causes of hair loss, our commitment to the highest professional standards allows us to offer totally customized hair replacement solutions specifically tailored to your individual situation. 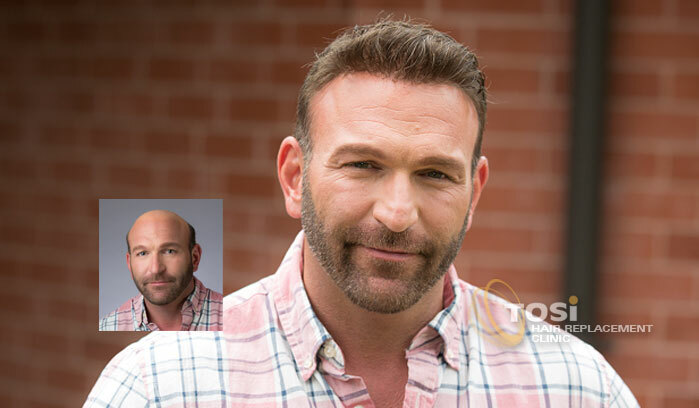 Unlike other “one solution fits all” hair replacement systems, with a Tosi Hair Replacement Clinic custom hair restoration solution, your personally customized hair replacement restores your natural appearance as though the hair is growing naturally out of your scalp. And best of all, it’s totally natural and completely undetectable, both to the eye and to the touch. Made from the finest 100% human hair, your personally customized hair replacement will be created to your exact color and age-appropriate specifications, based upon your desires and expectations, and customized to your specific lifestyle. 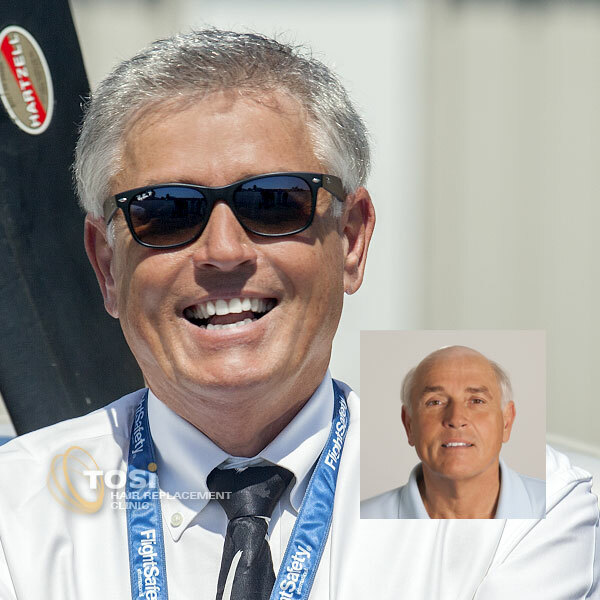 The security of dealing with a company that’s been continuously in business for over 40 years. Male hair loss and going bald is a fact of life for millions of men. Significant male pattern baldness affects the lives of well over one-third of adult men worldwide. There are many possible causes of hair loss, however the man who experiences hair loss usually finds that it is part of his individual genetic makeup. Alopecia areata: Considered an autoimmune disorder. Causes “patchy” hair loss, often in small circular areas in different areas of the scalp.